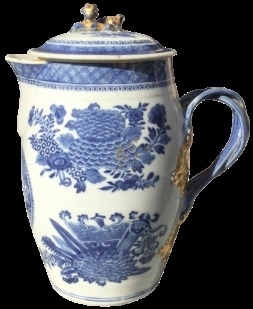 Sotheby's is moving deeper into the online decorative arts business, with the announcement today that is it acquiring Viyet.com, a four-year-old online marketplace for vintage and antique furniture and decorative objects. The purchase is meant to help Sotheby's chief executive Tad Smith fulfill a goal he set soon after he joined the company in 2015—to expand sales in the "middle market," defined as $5,000 to $50,000 for decorative arts and $25,000 to $1 million for fine arts. "For us, it's about being there to service existing and new customers when, where, and how they want to buy or sell in different categories and at different price points," says John Auerbach, the general manager of Sotheby's Art & Objects Division, who was hired last August to direct the middle-market expansion. Buying Viyet provides Sotheby's with a channel to attract clients who might be lured up the value chain to higher-priced auction lots and to sell goods that currently have no home at the auction house. "We have more inbound material than we can sell online and in live auctions," Auerbach explains. Owning Viyet will make it easier for Sotheby's to accept entire estates. For Viyet, the deal offers association with a well-known brand (every Viyet web page will describe the company as a subsidiary of Sotheby's), growth opportunities, and resources in operational areas like marketing and accounting. And for designers, an expanding Viyet provides both another place to buy quality items and a market where clients can sell furnishings that don't fit their decor plans. "Designers often don't know what to do with existing things," said Viyet CEO Elizabeth Brown. "This is a great way for them to consign what's left over to us." Interior designer Michael Cox began using Viyet soon after its April 2013 launch, initially for purchasing furnishings—at a fixed price—that could be delivered quickly. Then, he said, he started referring clients to Viyet as a place to sell: "Before Viyet, all we could offer was for them to donate or to try to have an auction house take a few pieces." Viyet has also evolved from a platform for individuals who are selling their used brand-name furniture and accessories into a marketplace for showrooms to sell floor samples and for design and antique dealers. Private individuals still account for about 60 percent of its business, according to Brown, but the trade side is growing—currently accounting for about 25 percent of buying by value. On the supply side, Viyet has listings from about 200 showrooms and 50 dealers. What sets Viyet apart from other online marketplaces is an intermediate step between the buyer and seller: To maintain quality, Viyet sends every potential seller a "curator" who will vet, inspect, document, and recommend a price range. The company currently has 30 curators on contract, working in New York, Connecticut, New Jersey, South Florida, and nine cities around the country. Their expertise ranges from auction house experts to "really enthusiastic design lovers," Brown said. Viyet charges no fees but collects a seller commission: 50 percent of the sale price for individuals consigning 20 or fewer items and 40 percent for those consigning more. With the trade, Viyet negotiates case-by-case commissions, beginning with a "rack rate" of 40 percent for 20 or fewer items and 30 to 35 percent for those selling more. "They list more often," explained Brown, "while it's episodic for individuals." Items, according to Viyet's website, generally sell for "50 to 80 percent below retail prices." For example, a BDDW table, originally priced at $40,000, cost $25,000 on Viyet. 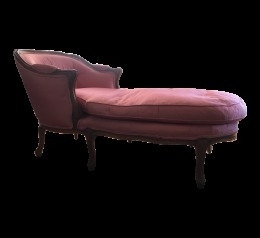 Viyet's highest prices include $24,000 for a set of antique Russian neoclassical mahogany armchairs and $100,000 for a contemporary artwork. Sotheby's declined to provide details of the transaction, noting that the cost of buying Viyet was not material to its financial position and did not require disclosure. The company continues to increase its online business overall: In 2017, 23 percent of all auction lots sold were purchased online, totaling more than $180 million in gross revenues, 16 percent more than the 2016 total. Equally important to the company, 53 percent of all online bidders last year were new customers.